One of the earliest documented uses of hypnosis with a cancer patient occurred in 1829, when M. le Docteur Chapelain used hypnosis to relieve the suffering of a patient with breast cancer. The doctor used hypnosis as an anaesthetic during a mastectomy and during the operation, the patient was said to be “calm and evidenced good pain control.” While today anaesthesia is the preferred means for surgery, hypnosis still plays a role in the treatment of cancer and is often used to reduce stress and anxiety as well as minimize the side effects of chemotherapy such as nausea and vomiting. Primarily we help them deal with the symptoms and help them change how they are processing pain. We cannot give them false hope, but we can put them in a comfortable state and help them with healing. Very often cancer patients are shuffled from doctor to doctor, making them feel as if they are just a number. We make custom recordings for our clients to listen to during their chemotherapy treatment–it’s a personal experience with a hypnotherapist that can go a long way. An Italian study published in Oncology in 2000 followed 16 adult cancer patients suffering from nausea and vomiting just before their next chemotherapy doses, which is sometimes called “anticipatory” nausea and vomiting. After they underwent hypnosis, the nausea and vomiting disappeared. 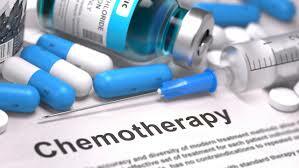 It has been reported that 70% to 80% of all cancer patients who receive chemotherapy experience nausea and vomiting. Clinical hypnosis has been studied for relief of nausea and vomiting secondary to chemotherapy. In a randomized study of the efficacy of hypnosis in reducing nausea and vomiting in children receiving chemotherapy. Researchers found children participating in hypnosis had less anticipatory nausea and vomiting and less overall vomiting compared with controls that did not undergo hypnosis. It is generally accepted that stress can reduce the effectiveness of the human immune system, so changing the body´s ability to deal with cancer cells. Finding out that you have cancer is certainly stressful and, if you were not stressed before, you probably will be when you receive the diagnosis. Stress is an attitude of mind; you cannot control the entire external world but you can decide how you are going to react to it. It is all about building acceptance and positivity. Just as a negative mind set tends to focus on the worst of experiences or outcomes, a positive mind set focuses on positive outcomes, positive experiences and can also empower us to achieve our goals. A positive mind set can help reduce our perception of pain, whilst increasing optimism and inner strength. After medicine our body’s immune system is the most powerful weapon we possess in our fight against cancer. It’s well documented that stress reduces the effectiveness of this system; just consider now when we get the most colds, flu’s and sore throats etc? When we are run down or stressed! So for any cancer sufferer getting their immune system functioning to the best of its ability is a crucial factor in any recovery process. Modern medicine is the best it’s ever been, modern screening, diagnosis and treatment of cancer are central to every cancer sufferer’s recovery. Hypnosis has, over time and across many instances, been shown to improve both clinical and cost outcomes connected to cancer treatment. Unfortunately, there have been very few studies that examined and isolated hypnosis as a researched treatment for cancer overall. One highly quoted study measured the effects of hypnosis just on women patients who were undergoing biopsy. This study indicated that women who underwent hypnosis experienced lower levels of anxiety and pain during the procedure (with no increase in the cost). These patients also experienced less post biopsy pain and irritation than the control group. Hypnotherapy is an often misunderstood and overlooked treatment option with no known side effects and no reported negative consequences. There are many benefits of hypnosis that are supported by research findings, as well as many anecdotal reports of benefits that are yet to be investigated. Generally, the hypnotist and the patient work together to determine what goals hypnosis will attempt to achieve.